ShutterSnitch is subscription based. With a subscription you get access to all features and updates. The first week is *free* so you can verify that things work with your specific camera or wi-fi card. Wirelessly transfer images to your iPad from your Eye-Fi, Transcend Wi-Fi, Toshiba FlashAir, PQI Air, or ez Share card, GoPro HERO, Fujifilm cameras with built-in Wi-Fi, PTP/IP enabled device (such as the Nikon WU / D750 / Z7 or Canon EOS 5D Mark IV / 6D / 70D / M3 / EOS R) or a Canon, Nikon or other filetransmitter that supports uploading to an FTP server over your wireless network. When a JPEG arrives, ShutterSnitch analyzes shutter speed, aperture, ISO, focal length, and light level and warns you if anything differs from the rules you've set up. You now have a large preview screen that you can browse, pinch, zoom, and evaluate seconds after snapping your picture. In a studio environment it's now easy to share shoots with crew and models. More fun and less juggling cards, adapters, and cables! Please note: A large part of the magic of the wireless delivery lies in the setup of the devices outside of the ShutterSnitch app. For older FTP systems, be prepared to spend more than just a couple of minutes on this initial setup. • Works with iPad, iPhone, and iPod touch running iOS 9 or higher. • Full Retina & Retina HD display support. • Crop, straighten, and adjust colors (temperature & tint, exposure, contrast, highlights, shadows, whites, blacks, clarity, vibrance, and saturation). All edits are non-destructive, so you can always fine-tune or revert to the original photo. • Advanced metadata editing with presets and Code Replace. • Slideshow function with Ken Burns effect. • Arrange your shoots in albums. • Resize and/or watermark photos before sharing them via e-mail, Dropbox, Flickr, FTP, Google Drive, SmugMug, WebDAV, or Zenfolio. • Large scale histograms (RGB,R,G,B). • Visible and/or audible warnings. • Map integration. 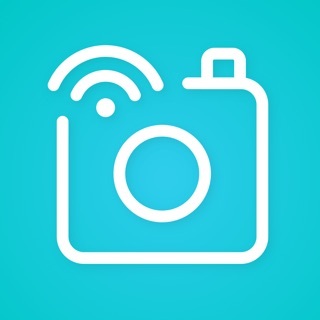 Geo-tag JPEG photos automatically or manually. • Add a caption and byline to the photos by tapping and holding the currently displayed full image. • Custom username, password, and port for the built-in FTP and WebDAV servers. • Receive files directly from one or more Eye-Fi cards. • Receive photos from your GoPro HERO, Transcend Wi-Fi, Toshiba FlashAir, PQI Air, or ez Share card/adapter as you shoot them or import files from the card manually. *Note for GoPro cameras in burst or time-laps mode*: Photos can only be retrieved once the camera exits the mode. • Supports receiving and importing photos via PTP/IP. For example from Nikon WU transmitters, D750 / D850 / Z7 and Canon EOS 5D Mark IV / 6D / 70D / M3 / EOS R.
• Supports Sony A7 and NEX cameras. • Supports Fujifilm cameras with built-in Wi-Fi such as X100T, X-M1, and X-T2. 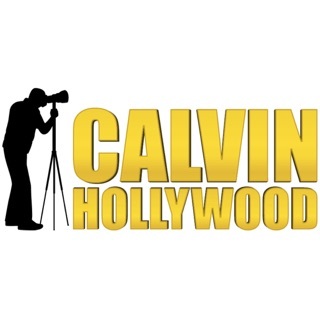 • Supports Canon PowerShot G16 and other Canon cameras that work with their CameraWindow app. • Bonjour support for easy discovery in your Bonjour enabled applications. 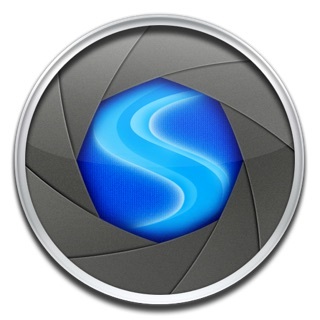 ShutterSnitch can also be used as a regular image browser if you simply transfer the pictures from your computer through an FTP client. Subscription payments ($2.99 monthly or $29.99 yearly) are charged through your iTunes Account at confirmation of purchase and are auto-renewed. The account will be charged for renewal within 24-hours prior to the end of the current period. Renewal can be turned off 24-hours before the end of the current period in your Account Settings in the App Store. Any unused portion of a free trial period will be forfeited when a subscription is purchased. • Added an 'Advanced' page to the in-app settings with options to share configurations and a choice to use device authentication instead of the superuser password. Make your future self happy: Go to the in-app settings, tap the 'Advanced' page at the top of the screen, tap 'Select All' at the bottom of the list, tap 'Share', and send the configuration to your computer or iCloud Drive. You now have a complete backup of your setup (collections excluded). If you get a new iOS device and don't want to restore a complete iCloud backup to it, it's now easy to transfer all your settings, actions, locations, presets, etc. Just install ShutterSnitch and AirDrop the configuration to the device. Habe mir die App für eine selbstgebaute Photobooth gekauft, die die Möglichkeit zum Anzeigen und Drucken der Bilder bietet. Das ist zwar mit diversen kostenlosen Apps auch möglich, macht aber nicht annähernd so viel Spaß wie mit dieser App. Der eingeschränkte Modus in ShutterSnitch ermöglicht es, die angezeigten Funktionen auf das Wesentliche zu beschränken. Bei mir ist das Bewerten und Drucken. So sieht jeder nur das, was er zur Bedienung braucht. Eine sehr saubere, anwenderfreundliche und auch "günstige" Lösung, verglichen mit den Anden Kosten, die so anfallen. Hinzu kommt noch ein sehr schneller und hilfsbereiter Support. Von mir gibt's für diese App eine klare Kaufempfehlung. Da die großen Kamerahersteller es nicht schaffen, einen sinnvollen Workflow für die drahtlose Übertragung, Kontrolle, Bearbeitung, Verschlagwortung, Geoinformation und Copyright anzubieten, bin ich einfach nur dankbar für dieses Tool. Die Bildbearbeitung über das Add-on wäre auch mit kostenlosen Programmen möglich. Shuttersnitch gibt das Foto aber in der Originalauflösung aus - nicht zu unterschätzen. Über Dropbox oder andere Cloud-Dienste geht es dann auch zügig überall hin.